Given how central your website is for your customers, there are many things to consider before actually getting to the design stage. website, though, should be taken as an opportunity to re-evaluate your site as a critical element of your marketing strategy. A company’s website is quickly becoming an even more critical part of the customer journey than ever before. A recent survey found that 82% of smartphone users consult their phones on purchases they’re about to make in-store. And, according to Zendesk, 91% of consumers would prefer to go online for support issues. A great website is what brings customers in and keeps them around. 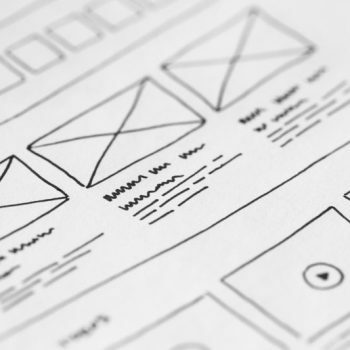 Given how central your website is for your customers, there are many things to consider before actually getting to the design stage. Here are the top questions every marketing manager should ask to ensure you have a good website design for your customers before you commit to a site design. What is the main purpose of the site? Is your site primarily being used for e-commerce? Do visitors want to do research about your products/services or industry? Are customers coming to your site for support? Understanding the main role of your site will drive the rest of the design process. Gather information from all of the stakeholders for your website. From your marketing team and sales to IT and customer support, understanding their role and the customer–website interaction from their department’s point-of-view will help you ensure a strong foundation for the entire customer journey. A good website design will focus on the elements that have the biggest impact on the customer experience. What is a realistic scope for our site design? Budget and marketing team capabilities are the primary limiting factors when designing a new site. Once you’ve determined the purpose of the site, it’s time to determine a realistic scope for the redesign. A good website design will focus on the elements that have the biggest impact on the customer experience. The marketing manager should determine the budget, the scope, and the capabilities of the marketing department to complete the project. Answering these first two questions is a significant first step in designing a new website. Many small companies may find their marketing department doesn’t have the bandwidth to plan and take on a labor-intensive project like a new site design. The planning phase is a great time to engage a fractional marketing manager who can oversee the project and bring in the right subject matter experts for the job. If you’d like to learn about how a fractional marketing manager can help you complete your website redesign, let’s chat! Tune in next time for more things to consider before designing a new website.